for Young Moderns: FYM PRESS PLAY: JAMES WHETZEL, LIVE AT -SEATTLE ART MUSEUM, PARK(ing) DAY! 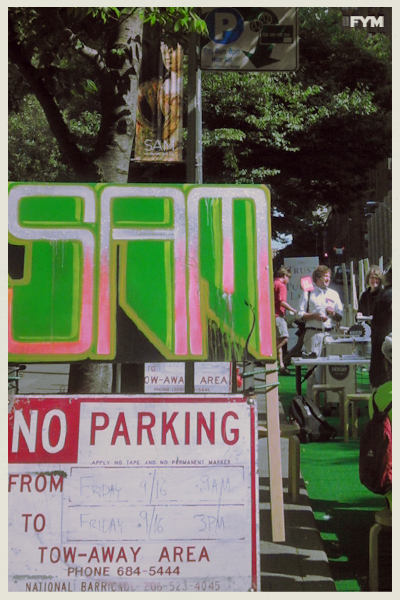 FYM PRESS PLAY: JAMES WHETZEL, LIVE AT -SEATTLE ART MUSEUM, PARK(ing) DAY! 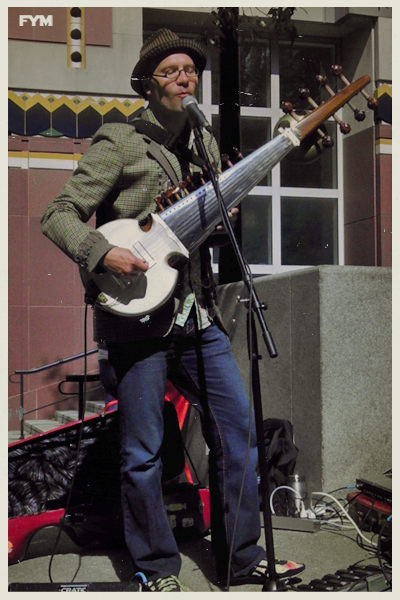 A man of many talents (social media guru, musician, producer, recording engineer) -James Whetzel, blew our minds yesterday (elevating our afternoon plane of consciousness) performing live in support of the PARK(ing) Day festivities held at SAM (Seattle Art Museum). Whetzel's sonic journey is unlike anything we've ever heard in the Northwest -merging thought provoking world textures with contemporary digital club mix bliss. As you will find out in the video below, Whetzel is indeed a classically trained player -that can seriously shred on the sarod (a 25-stringed lute-like instrument from India). 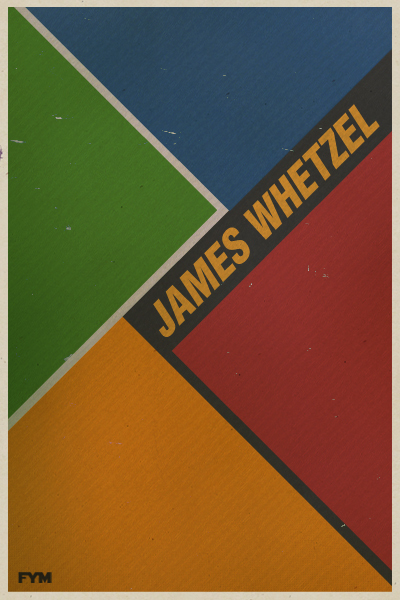 James Whetzel often produces his sound under the music moniker 'Das Dhoom' (Dhoom means a bass hit on a South Asian drum. Das means ten in Hindi/Urdu and the in German). James is an impressive craftsman -check out the track below, Voyage of the Seven Dragons of Dhoom, his music sparks our imagination with cinematic visuals of exotic landscapes (we're talking major motion picture soundtrack material). Appreciation and praise goes out to Seattle Art Museum and James for participating in PARK(ing) Day -an international event whose premise invites citizens everywhere to transform metered parking spots into temporary parks. Yesterday, SAM cleared out a section of space normally devoted to parking vehicles (setting up a row of green carpeted games and design activities) inviting patrons to take a break from the city life hustle in order to create art! Thanks to both for such a refreshingly wonderful afternoon! Cheers, FYM.